Joe Anthony sent these pictures. 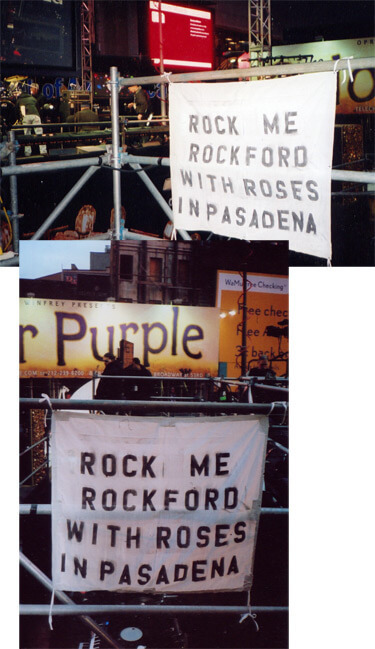 A posted banner on one of the entertainment stages in Times Square for the 2006-2007 New Year's Eve celebration in New York City reflects support for Rockford's Phantom Regiment. Several TV crew members working the production were drum corps fans.